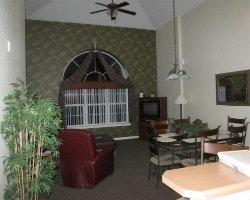 *Surrey Vacation Resort* is located in Branson, Missouri, and offers an indoor and outdoor pool, hot tub, tennis, basketball, shuffleboard, volleyball, games room and weight room, and a sitting room for adults. The resort schedules weekly activities for guests. Within five miles, Table Rock Lake and Lake Taneycomo offer all types of water activities. Other area attractions include Shepherd of the Hills, live music and entertainment, restaurants, and outlet mall shopping. Silver Dollar City is five miles away. Branson has so much to offer, you will be tempted to extend your stay! 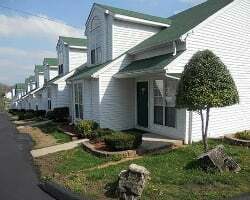 Lovely year round resort close to Table Rock Lake and Silver Dollar City! 68,500 odd year points! Inquire for details! Highly motivated seller! Price Negotiable! 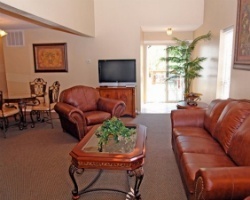 Family friendly environment that has plenty room for relaxation! 17550 points each odd year! Perfect resort for outdoors lovers with activities for the whole family! Buyer may receive a title fee credit, ask now! Enjoy the many onsite amenities and activities! Annual week 10! Inquire for more details! Great resort with endless activities! Prime (red) week 13 during odd years! Buyer may receive a title fee credit, inquire for details! Family friendly resort! Great location near Table Rock Lake! Week 7! Buyer may receive a title fee credit, inquire for details! Motivated seller! Enjoy live music, entertainment and much more onsite! Floating week every year! Inquire for details! Biennial odd floating week! Family friendly resort! Onsite indoor pools! Fantastic resort near Little Nashville! Buyer receives complimentary closing credit; inquire for details! Price just reduced! Fantastic amenities! Yearly floating week! Make your offer today! Week 40 and 41 annually! 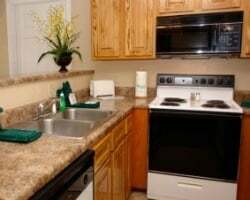 Many onsite amenities to choose from! Buyer May Receive A Title Fee Credit, Inquire For Details! 244,000 biennial points! Use them anywhere in the Grand Crowne network! Fantastic resort & amenities near 3 area lakes! Odd years in November week 47! Make your offer today! Beautiful year round resort! Only 5 miles from Table Rock Lake and Silver Dollar City! Buyer May Receive A Title Fee Credit, Inquire For Details! Great family friendly resort! Children under 18 stay for free! Buyer May Receive A Title Fee Credit, Inquire For Details! Near plenty of family friendly fun! Buyer May Receive A Title Fee Credit, Inquire For Details! Only miles away from Silver Dollar City! Buyer May Receive A Title Fee Credit, Inquire For Details! Resort is set on top of the Ozark mountains! Children under 18 stay for free! Buyer May Receive A Title Fee Credit, Inquire For Details! Plenty of activities available onsite! Buyer May Receive A Title Fee Credit, Inquire For Details! Sale includes 244,000 annual points! Currently 488 k available for 2015! Buyer May Receive A Title Fee Credit, Inquire For Details! Sale includes 284,500 annual points! Buyer May Receive A Title Fee Credit, Inquire For Details! Enjoy live music, entertainment and much more onsite! Buyer May Receive A Title Fee Credit, Inquire For Details! Gorgeous resort! Annual high season floating week in Branson! Motivated seller! All reasonable offer considered! Great resort with endless activities! Odd years usage in floating week! Make an offer!